SIGN UP FOR OUR 5TH ANNIVERSARY EVENT IN 2019! On September 28rd, 2019 we’re rebooting the event under the more inclusive name of “Lift Up Autism” and calling athletes and coaches everywhere to mobilize around this cause. It's 100% free to host and super easy to manage! The "Luke" workout is architected to be performed in a wave format so that boxes everywhere can accommodate hundreds of athletes in a matter of hours. Using simple and standard equipment and operating under a 5 minute time constraint, boxes can pack 4-6 heats into a single class and crank up to 50 people thru the workout each hour. Performed in such a manner, the electric environment reinforces the culture of your community and unifies your athletes in a wonderful, shared experience. All boxes that register receive a simple, easy, and bulletproof implementation toolkit in the month before the event making the hosting process a snap. The Autism Tree Project Foundation was created as a way to help build community awareness for autism. ATPF's goal is to give children on the autism spectrum a voice and build a community of compassion towards the parents and families of these special children. 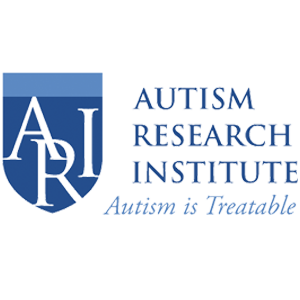 ATPF helps thousands of families with autism create a roadmap for their child with autism and navigate a very complex system of care required for children with Autism Spectrum Disorder. All monies donated to Autism Tree Project Foundation go straight to helping real families in the autism community. ATPF does not charge their families for any of their 16 critical support programs. As big believers in ATPF, this event continues to support their growth and expansion by donating 33% of its proceeds so ATPF can reach and serve thousands of families across the country. And what of the other 2/3? Given the expected increase in impact this year, we’re extending the reach of the proceeds and bringing support to two other foundations that specialize in research, online support, and personal development for families and individuals in the Autism community. By distributing the remainder of the proceeds across these two additional organizations, we're supporting the Autism community from all angles.